It’s here again – 14th of February, Valentine’s Day. Presents are expected – no excuses are accepted. What to give to your loved ones this Valentine’s Day? Chocolates – flowers – jewellery – restaurant – movies. Dull as dishwater. We dare you to get off the beaten path and surprise your partner with a truly unique experience. Here is one of the Unusual Valentine’s Day ideas from Smart Digital – create a very special and unusual night in your own backyard, under the stars. It can be as romantic as hot air ballooning, just much safer! Very comfortable seating and snuggly blanket. Check for some ideas in this blog post or explore the topic on Pinterest. An outdoor home theatre (choose the one that’s quick to setup, you don’t want to spend an hour stretching the screen surface on a steel frame, so go for the latest in outdoor entertainment an inflatable screen). No backyard? 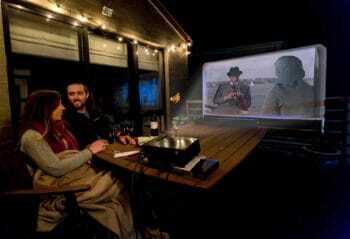 No problem – go for a portable movie screen which will even fit on your balcony! Now to the best part – choose a good movie and think how you can blend it with the reality. For a choice of a film, consider something both of you would enjoy. Feeling adventurous? Ensure the kids, if you have any, are fast asleep, and check this list. The next step is to create the film atmosphere around you. Say, you decide to watch “Lost in translation”. Get Japanese whisky or blend a special “Lost in translation” cocktail, mixing sakura liqueur, peach schnapps, and cranberry juice. 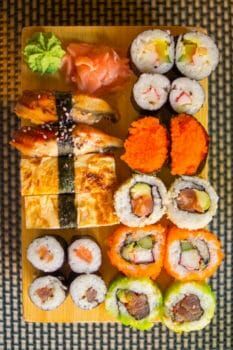 Serve some good quality sushi (your local take-away will help you here), and even try to convince your partner to sing karaoke in a pink wig. I hope you got the idea – the film connects with reality via food, drinks, music, pieces of furniture or clothes. Outdoor home theatre has the capacity to create romantic atmosphere so different both to watching TV or going to a standard movie theatre. 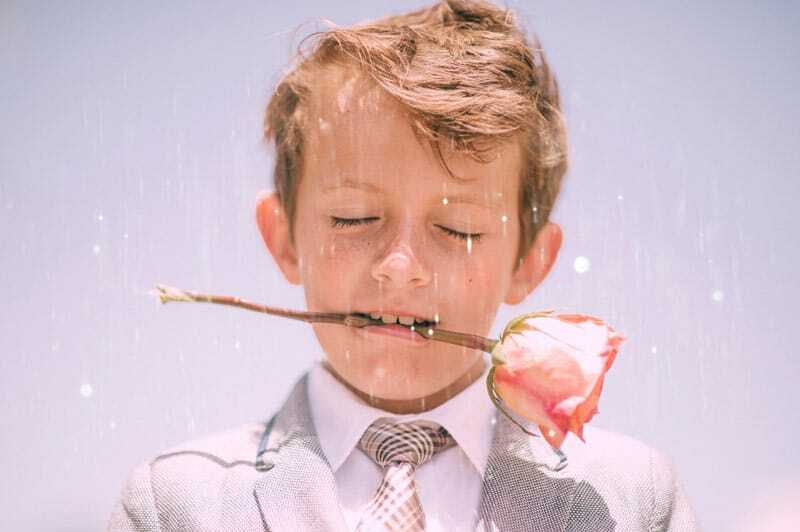 The sounds and smells of the summer night (I hope you are reading this blog in the Southern Hemisphere), bright stars above your heads, and, most of all, the comfort of a familiar place – isn’t it the best combination possible for a perfect romantic evening? Truly, the film on a big screen just for two of you can be the best choice for your Valentine. Maybe even the best of all unusual Valentine’s Day ideas you have ever had. 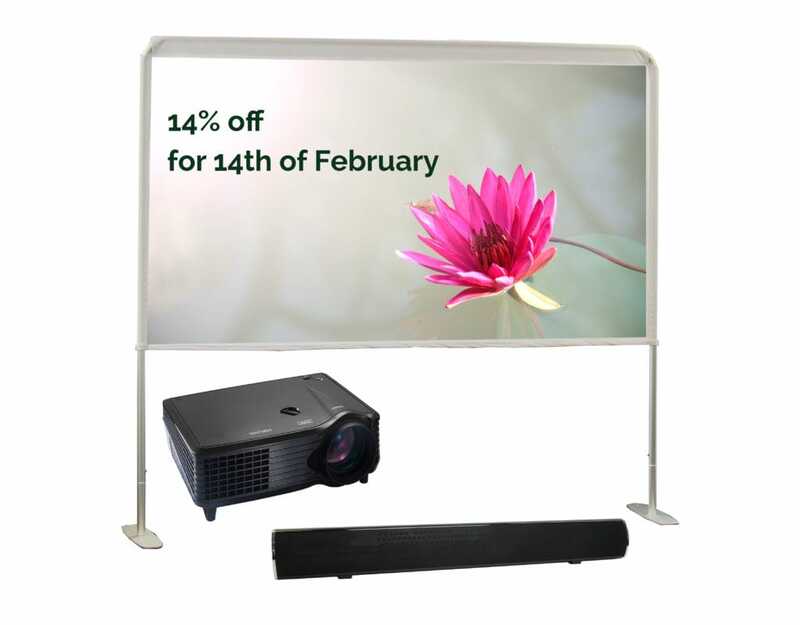 To help you celebrate this Valentine’s Day, we are offering 14% off our HandiTheatre Light outdoor cinema – shop now and surprise your loved one!